If you've been browsing the 'Coming Soon' section of the European eShop with regularity you've likely seen Hollow in the mix. A first-person shooter / horror title, it's been hard to judge for Switch as the store's trailer was only a cinematic video. The developer is keen to highlight that progress is solid, however, tweeting a video of off-screen footage to show how the game is running to date. In tweeted replies it's stated that the game is targeting native 1080p docked and 720p on the portable. It seems to be another positive use of the Unreal engine, in particular - The Flame in the Flood, out today, is another title using Unreal. It's been a notable step-up for Switch, as the Wii U was well known for struggling with the relatively common toolset. Hollow is out on PC (Steam) on 16th November, so hopefully the Switch won't be too far behind. Who else thought this was about hollow knight? Looks interesting. Will keep an eye on it. that video is not doing it justice, pretty bad quality. All of those excuses from third party developers about the Switch's lack of power are being proven false and unjust time and time again. Won't be long before there are some big names doing some spectacular, cringe inducing U turns. This looks to be a definite buy. Just make the frame rate good! @Rika_Yoshitake I agree. But watching direct footage from previous trailers, admittedly not on Switch, this game looks great. Switch needs some good horrors. @HappyMaskedGuy Funny thing is this game is more graphic intensive than DOOM, yet they can get it running at 1080p? Hollow's looked great since I first saw it. I'm glad too hear that game is turning out so well on the Switch. Like most are saying, the played-out excuse of Switch being underpowered is just nonsense. Basically any game can come to the Switch with just a few texture and effect downgrades. Some games will be harder to pull this off with than others essentially due to the architecture of the engine being used but, with a bit of optimization a talented dev can make some magic happen. And if you plan to release games on the Switch for the course of it's life then why not optimize early on and reap the benefits. Wow that looks really good. Like bioshock mixed with deadspace. Cant wait to play it. @Nintendoforlife I thought the same thing. The only conclusion I can really come to is the constant loading of high quality assets in DOOM. It's arenaish nature is constantly rushing hoardes of enemies at you but, Hollow seems to be a less CPU driven game with many rooms of the enviroment being empty of NPC's and relying more on the creepy nature of the game. Wow looks better (graphically) than Doom! @Nintendoforlife Don't know why people are comparing this to Doom. Doom has many different types of things going on screen. This does not. It has a creepy environment with the same enemy popping up from time to time. The developers mention Q12018 Switch release in the comments, so not until next year, but I definitely have interest in this as well! @LiberatedAnimal Entirely different game engines, and Doom has a lot more enemies onscreen at once, and much larger environments. 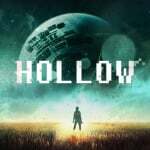 Hollow's graphics look good, but gameplay is a bit hollow. Can't compared it to Doom, eventually NL will give it 6/10. looks good ., but not much happening. waiting to see how the end product fares. Had my eye on this since I heard it was coming to the switch. I'm more worried about framerate then graphical fidelity. Framerate didn't look good in that video. I don't like developers pumping up switch too much. Just deliver the goods and let what we see and play speak for itself. Unreal 4 is one of the best if not the best optimizable engine to date. I would hope games were easy to port over lol. @Nintendoforlife It’s all about the engine and the tricks the devs use to make it work. The better the dev/engine the better it will perform. The game could be looking great (in terms of the graphics) but how am I supposed to tell with that awful video quality? Have they never heard of capture cards or do they simply not care about marketing? I'm in, more of this please. @shani They said they were going to upload some direct footage to YouTube soon, I think this was meant as more of a tease. This looks really good. Reminds me a bit of Alien Isolation, in a good way. The fact that they are looking into a physical version (was mentioned in the comments) has me even more excited. This is very heartening to see...more proof the initial doom sayers were wrong. The Switch is a very impressive machine, and already getting a very strong library of games! And I'm still waiting for perception to come out on switch... Hollow looks mighty fine though. Day one purchase for me! Can we get more horror games on switch please? Wow, you've predicted the gameplay and the score....impressive without playing the game. Now give me next week's lottery numbers. @ThumperUK Check out the PC version on Youtube yourself, it's not that difficult to predict. From what I've seen in videos, you guys would be better off comparing this game to something like Metroid Prime. This game looks good, but it looks like an FPS Adventure game (like Metroid Prime) with horror elements where as Doom is more of a traditional fast-paced FPS like Quake 3 Arena (the only Quake game that I've ever played). So any idea when this game is coming out?